More than any other word, surprise would be the one I'd choose to describe my experience playing Minecraft, and the subsequent impact it has had on my life. Hearing Mojang's (well, Notch's) masterpiece be referred to as Minecrack doesn't bring up a negative image like it might when associated with, say, World Of Warcraft, but rather it sums up exactly how I see it: it is an addiction and while the chances to get my fix may vary, the interest in it and the desire to play never wanes. It has become a part of my life just like an iPad (for example) has for others, and one of the biggest reasons for why I think that is resides with its strong element of surprise. Think about it: what the game offers -- aside from wonderful freedom, creativity and exploration -- is unique to each of its players. On the creative side, things like buildings and cities are limited only to a player's imagination, and as more and more experiment, the amazing builds that show up on places like YouTube are only going to increase. More interesting, perhaps, is the game itself and how its unique worlds, frequent updates and vast community surprise through their cohesion, and on their own merits, too. As everyone knows by now, Minecraft's worlds are procedurally generated, essentially meaning that my world is going to be different to yours, as well as everyone else's worlds too. They will be similar, sure, but each beach, mountain and forest will be unique to each individual who plays the game. I'll have a more thorough look at this aspect of Minecraft soon but, for now, I think it is safe to say that one of (perhaps even the) the reasons this approach is so successful is because of its surprise. Exploring my world reveals a large desert, empty grassland after a (natural) forest fire, and a giant cave network that, literally, stretches for miles. Exploring your world might have yielded an interesting, naturally-formed archway, an underwater cavern, or an extremely large, snowy, mountain range. As we continue to explore, who knows what we will find? That's the beauty of Minecraft -- the unknown -- and the end result is constant surprise. Strange rock formations, a deformed tree, an underground lake or a pool of lava -- each are common in all of our worlds but each, also, surprise us through their unique, exclusive-to-our-world, appearance. 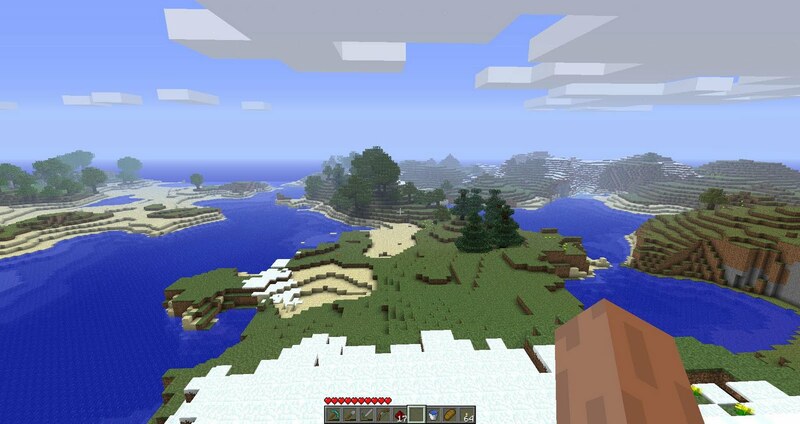 Minecraft's environment is remarkable, then, and it certainly highlights how beautiful nature can be; perhaps even how much we've lost of Earth's beauty through civilisation. But that, too, can be beautiful, and it can also be surprising. The community that has formed around Minecraft is amazing, both because of what it can produce and because technically Minecraft is not a full, proper game. Yet. Over 2.5 million sales and counting is astonishing for a game still in Beta and surely sets a precedent not just for Indie games, but for the entire industry, too. It is proof that word of mouth is a powerful thing, but it also proves that player freedom and agency is, arguably, the way of the future -- give people the chance to make their own experience, defined by what they are interested in, and they'll respond positively; respond enthusiastically. Minecraft's community is passionate: their love for the game permeates through their collaboration on the many multiplayer servers, support for incredible builds and designs, and reception to things like Let's Plays on YouTube -- Minecraft is particularly popular for LPs, I think, because each adventure (and indeed, world) is unique -- and fan made stories. There's even songs about the game because its players need to express their appreciation for and dedication to it. Taken together, that's a surprise in itself, but taken individually these various outlets for Minecraft's various players bring surprises each and every week. Everyone knows about the Star Trek Enterprise replica, but did you know about the underwater city Lumina Nocturnale? What about the Minecraft song or any of Bobby Yarsulik's work? Ever heard of Coe's Quest? What about the Ocarina Of Time project? Furthermore, did you know that you can go on a Zelda adventure in Minecraft, complete with dungeons and puzzles and everything? Or perhaps a visit to the LOST island is more your thing? The creativity Minecraft inspires in its players is astounding, and while impressive builds are most common on servers due to the power of collaboration, wherever you look and whatever you find interesting, there's a Minecraft surprise out there waiting for you, created by its wonderful community; by its passionate fans; by you. What amazes you tomorrow will be completely different to what captivates you next week, and it is this regular dose of surprise -- of the unknown (sound familiar?) -- that defines the community and explains why we all love the game so much. It's an experience that's deeply personal yet inherently shared, and that's an accomplishment few other games can achieve; that few can ever hope to deliver. The game is made by its community, then, but it's also made by Notch and Mojang, which leads us to another form of surprise the game regularly delivers. Minecraft's unfinished, Beta status means that it gets updated regularly -- both to add new features and enhance the game, and as a response to its players who are, essentially, testing it. Every single player can, potentially, decide the game's future, all because they are playing the game how they please and relaying that back to Mojang as they work on the game. It's a relationship that benefits all of us and keeps Minecraft interesting pre(and, presumably, post)release. But it's ultimately Mojang who controls the game and its future, and that fact, too, can produce constant surprise. Do you remember when the Nether was introduced and how different (and freaky) it looked? What about when the wolves were added? 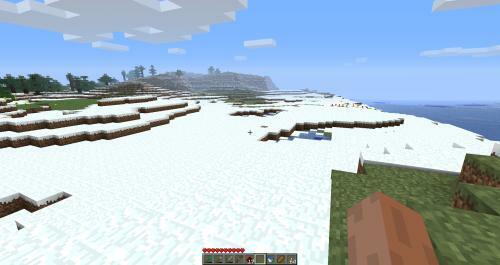 Biomes and weather? These updates and many more have changed the game and made it better. Whether it's something as subtle as coloured wool or significant as the forthcoming adventure update, they all play their part in defining and redefining the Minecraft experience. And we all respond to it because we know it'll improve the game and give us (even more) incentive to continue playing. They also keep things interesting, however, because these updates are usually surprises -- things we simply weren't expecting but make sense once they are implemented. The possibilities increase every time something like powered rails or the much anticipated pistons are added, the range and choice in building materials expands with each new block added, and the worlds as a whole become more compelling -- through our ability to inhabit them, and manipulate them -- as new mobs (as just one example) are included. The updates the game receives, then, define the game just as much as its community or unique worlds do, and certainly offers up that element of surprise which makes Minecraft so enticing, so enthralling, so exciting to play. For such a small game its impact is remarkable, so it's great to hear that Mojang will continue to surprise us after the game is launched proper later in the year. Minecraft isn't perfect but its ability to sustain its vast community and keep things fresh through frequent updates certainly is. 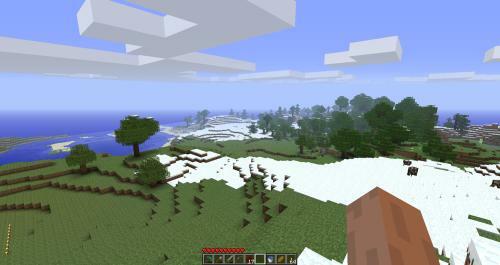 Minecraft surprised everyone -- Notch included -- when it exploded as it did, but now that we're all familiar with it I think it is fitting that surprise itself is one of the reasons, perhaps even the main one, for why we will continue to play it. It may not be as awe-inspiring, atmospheric or intense as other games, but it is as enjoyable, and certainly an experience we can rely on when and where we need to. Whether we play it daily or don't return for months, we can always expect a good time when we play, and can trust that when we do, there will always be a surprise waiting for us. You can't get much better than that. ROBLOX is driven by a growing membership base of over 300,000 creators who generate an infinite variety of highly immersive experiences. These experiences range from 3D multiplayer games and contests, to interactive adventures where players can take on new personas to imagine what it's like to be a dinosaur, a miner in a quarry or an astronaut out in space.